Huzzah to the good tipper! Every year in North Carolina, just as the leaves begin to turn, Charlotteans and those in the surrounding areas look forward to this amazing event! You might be imagining revving engines and left turns, but if you head a little further East, your ears will fill with the sounds of laughter, bongo drums and trumpets. 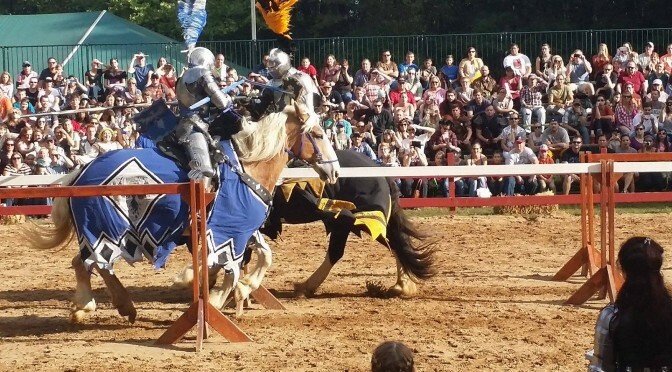 These delightful sounds signal none other that the Carolina Renaissance Festival! Want to be a washer wench? Auditions this Saturday! The Carolina Renaissance Festival’s Village Washer Wenches are holding auditions for new wenches and here is how you can learn to become one. Audition will be held Saturday June 28th at Petra’s Piano Bar. Doors will open at 10 a.m., auditions will begin at 10:30 a.m.